Diane Kruger and Norman Reedus promoted their film Sky in New York recently. Click here to see those awkward pictures. They also interviewed each other for Buzzfeed a few days ago. Several of you emailed me after reading that article to say that you could feel the tension between them embedded in their words. And then they go on to talk about how they’re represented in the tabloids and she’s all like, they always get it wrong and he’s like, yeah, no, sometimes they’re right about me. Uh huh. 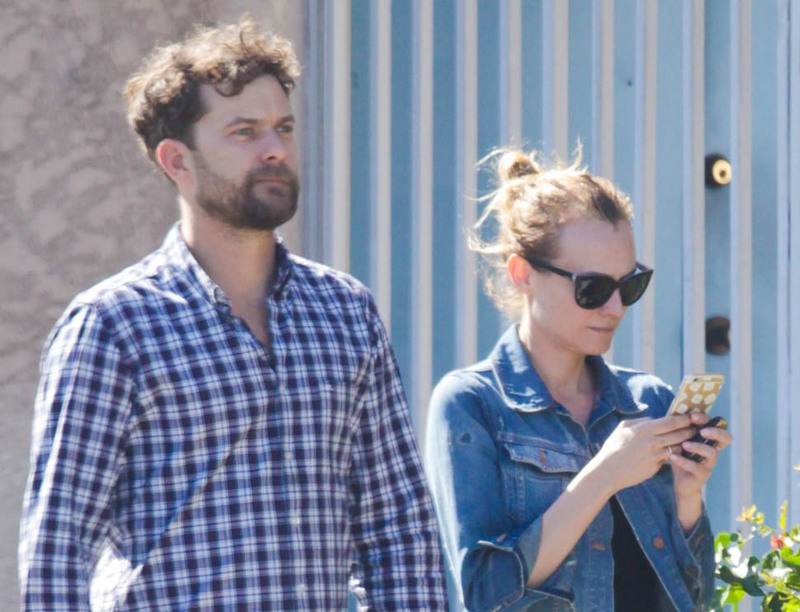 But here’s Diane in LA with Joshua Jackson this weekend. They were papped while on a walk. And also leaving a friend’s house and I guess it was so hot that Joshua saw her out without his shirt on. You know what I’m Photo Assuming from these pictures though? They remind me of a set of pap shots of Jennifer Aniston and Brad Pitt about a year or so before they broke up. They were leaving a party. And walking separately. And he was calling to her like, “wait, let me just talk to you”. And it looked like a fight. See below. I don’t know why I brought that out from the archive. And Photo Assumption is mostly bullsh-t, we know. But do these two moments feel similar to you too?